Unique Moments Photography of Gig Harbor captured this images in an open field area on the way to the reception. We wanted to get some outside photos and break up the photo capture process that happened at the church. We want our clients to have a variety of looks with their wedding images. Its nice to look through an albums and not see 8 pages of pictures from the same location. 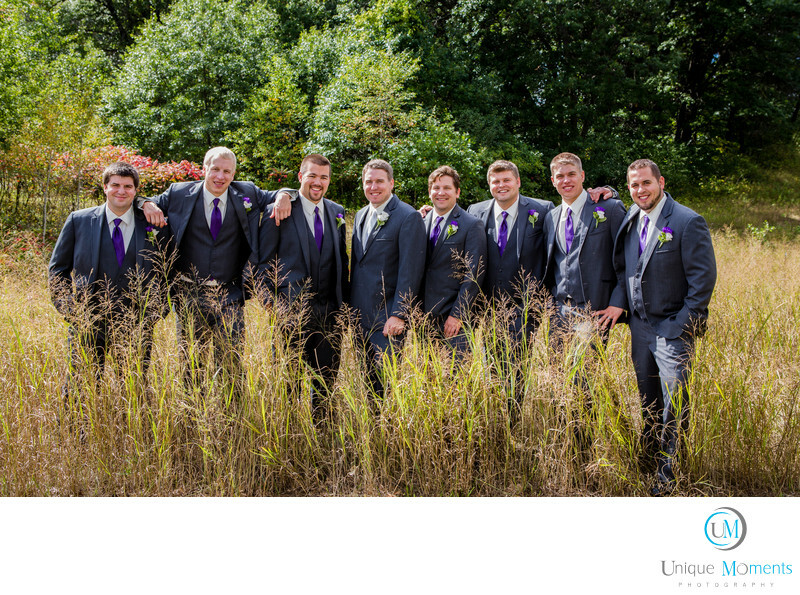 Back lighting from the harsh afternoon light behind the group and a powerful off camera flash to match the ambient light resulted in an awesome image for our clients.